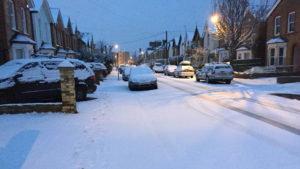 Britain wakes up to a covering of snow on the ground this morning as temperatures plummet as low as -11C in some parts of the country. Ice poses the major threat today, although remnants of the snow storms could clip the south east of England, the Met Office says. 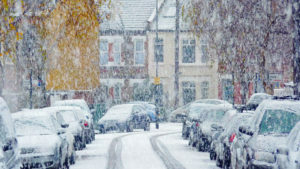 ‘Thundersnow’ storms to hit parts of UK – but what is it? Wintry weather is causing hazardous conditions across many roads in Scotland and northern England with “be prepared” warnings of heavy snow still in place. 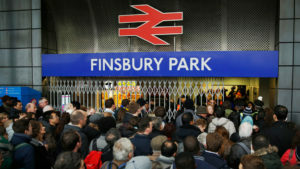 Trains in and out of King’s Cross station are cancelled leading to overcrowding and misery for commuters at Finsbury Park. Will we have to dream about a white Christmas? There’s no doubt that many of us dream at the prospect of having snow on Christmas day to add to the festive mood, but will it snow this Christmas? 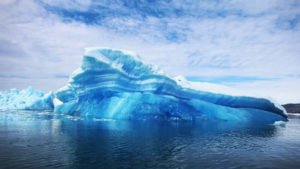 Much of the world remains unprepared for the mounting threats of the changing climate, a major international report warns. In the coming days it’ll turn a bit colder, which will bring the risk of some snow in places, as rain bumps into cold air. The are signs of a switch in the weather pattern into next week, with something more akin to winter a distinct possibility. As the final weekend before Christmas approaches, there will be a lot of people travelling in the coming days – yet there is going to be no let up in the unsettled weather. 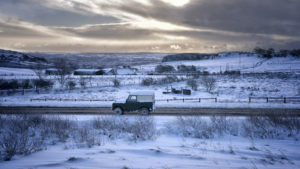 Following tonight’s severe gales, there’s a risk of snow tomorrow – even for southern parts of the UK. The British weather is going to live up to its reputation for being very changeable later this week, with a variety of things to keep an eye on. 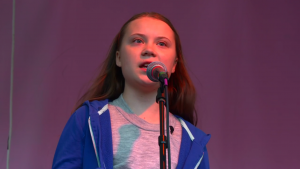 Sure enough, we’re midway through the week and despite numerous headlines in some tabloid newspapers, there’s been no chaos, temperatures haven’t fallen to -15C and most of us haven’t seen any snow. As I mentioned in my blog last week, it’s going to turn notably colder for all of us this week as a plunge of Arctic air slides southwards during the next 24 hours.